A week and half ago we packed up our car filling every single available space with camping equipment and headed off to Glastonbury – sadly a month or so too late for the festival! We broke the long journey and stopped over at our dear friends, Ric and Claire's near Bromsgrove. Ever the perfect hosts and it was great to see their lovely son Ruben and Rosie playing so well together. 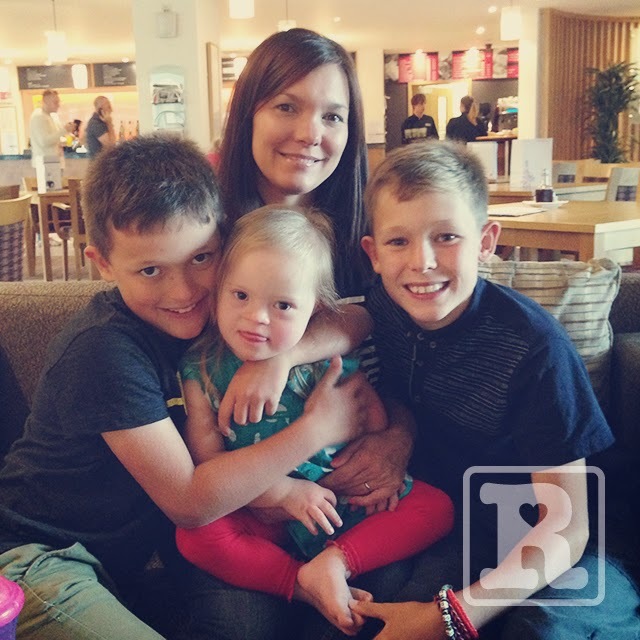 Rosie certainly isn't shy when it comes to meeting children she doesn't see a lot of or indeed children she's never seen before, this will be a valuable tool for her to take through life and I hope she continues with this confidence. 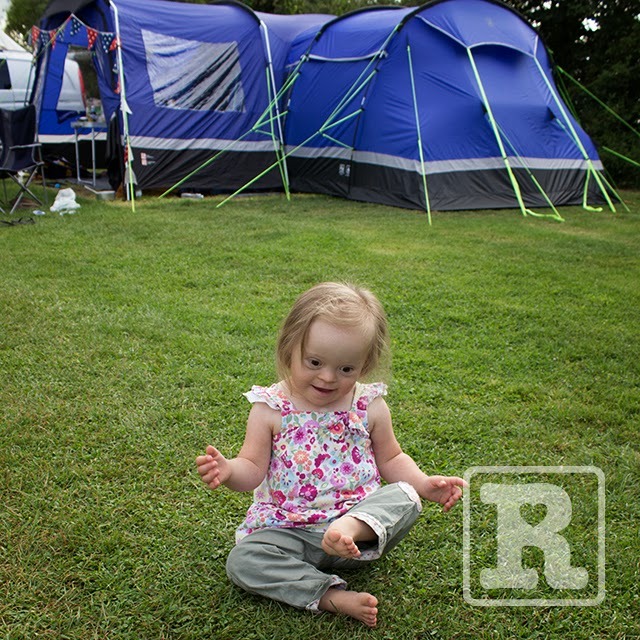 So onto camping... remembering that Rosie is only three and we are still relatively new to having a child with DS I guess it's normal (or at least I hope it's normal) to wonder and perhaps worry a little about how you will be greeted to places. 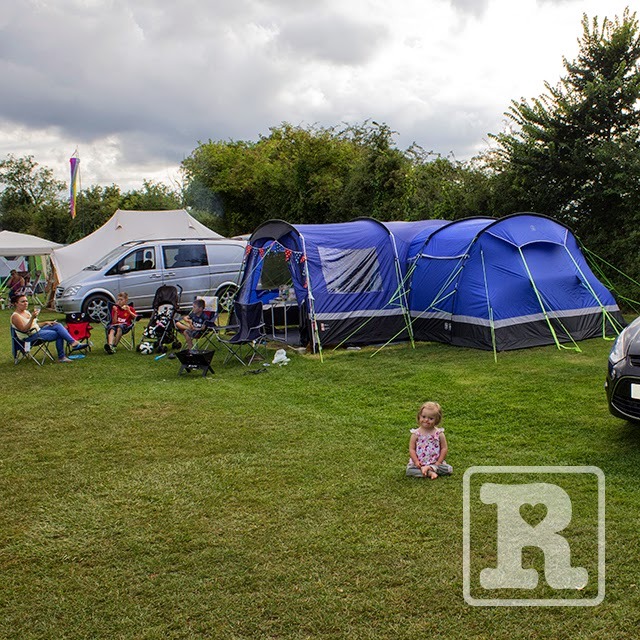 Greenacres Campsite near Glastonbury was our destination and we couldn't have been made to feel more welcome, we were treated with complete normality which is so important given that this was to be our home for the next week. 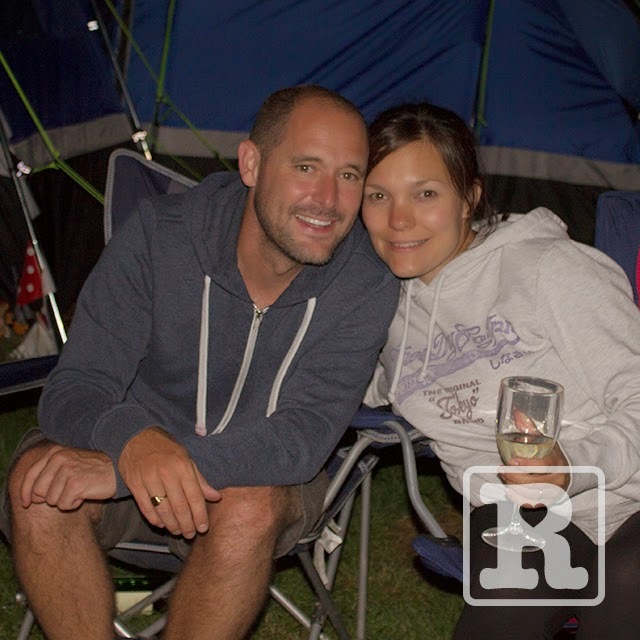 Duncan & Mary who run the fabulous family friendly campsite had a genuine interest in our whole family and that normality is totally priceless to us. Alice (9) their daughter (shown in the picture below) expressed a huge interest in Rosie and over the the week became our Bud's new best Buddy. 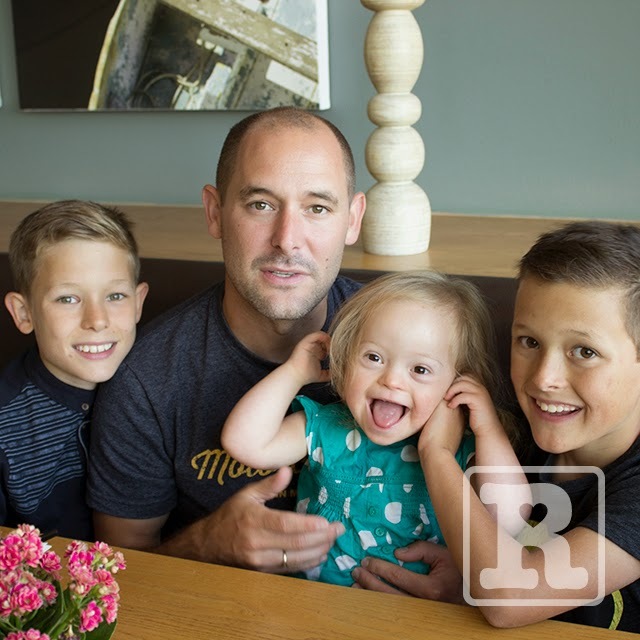 Alice asked so many intelligent questions – so keen she was to educate herself and find out as much as possible about Rosie and what it's like having a child with Down's syndrome. 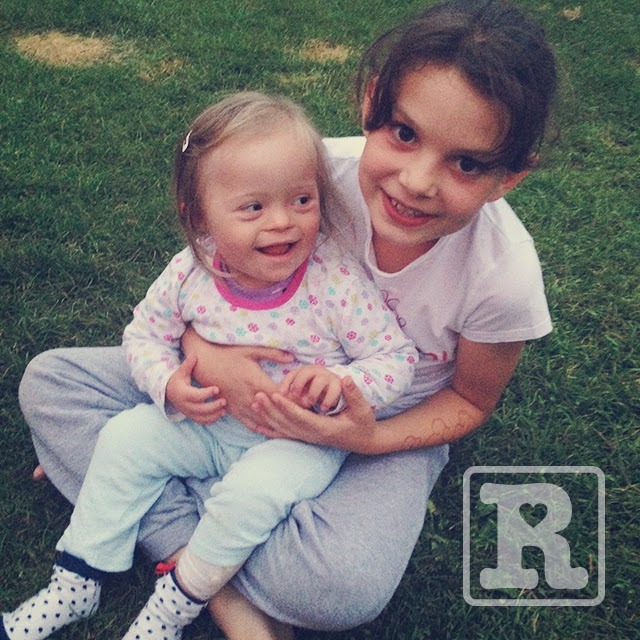 She regularly took Rosie off to the play area encouraging her to get up on her feet. Alice is such a delightful young girl and we can't thank her enough for the moments of respite she gave Karen and I as she looked after our Bud. We will most certainly be back to camp at Greenacres in the near future and wouldn't hesitate in recommending it to any family. Rosie was no trouble going to bed and took to camping really well, we had done a few short trips first so knew she'd be okay but it still surprises me just how adaptable she is to environment changes. Breaking up the journey again on the way back home we treated the kids (and ourselves) to a two night stay at a luxury spa hotel in the Cotswolds. Rosie is being extra clingy and super demanding for Karen's attention at the moment and I was a little apprehensive as to how it would work in the environment of a hotel. Not always the most family friendly of places! Rosie's constant need for attention coupled with shouting and sometimes screeching in public is becoming increasingly harder for me to deal with. As usual Karen just takes it all in her stride but myself well, I've been having a few wobbles again. I've been battling with that mistake parents of children with DS often make – 'Looking to the future'. I know it's counter-productive but I can't help it sometimes, rather annoyingly it's in my nature to be a little anxious. I keep thinking to myself is this Rosie from now on? Will this be our life, constantly worrying everyone's tutting or feeling sorry for us? I'm sure its just a phase but it consumes me at the moment. Whilst getting ready for dinner I took the kids to the bar area giving Karen time to get ready without Rosie's constant need for her. For the first time in a long time I felt that wobble come over me as I struggled to contain her neediness, screaming and crying for Mummy. I took her outside held her and cried. I know all of this is contrary to the blog title but I've always promised to be honest and yes for a moment there I stood and wondered if I can cope. Life isn't always full of the Friday smiles, to be fair it mostly is, but equally there are moments that I struggle with. That said when we sat down for dinner she behaved impeccably and enjoyed dipping her vegetables in a sauce for her starters, showing signs of OCD with the dinner plate! (see video) – swings and roundabouts as they say. 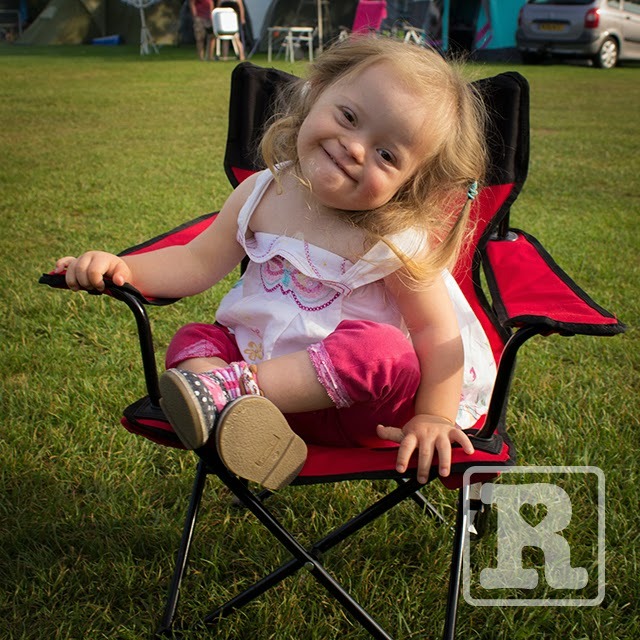 Tomorrow Rosie has her most important role so far where she is to be a flower girl at the wedding of our friends, Nicola and Brian. I can't wait to share some photo's of Rosie from the day. Table manners from The Future's Rosie on Vimeo. Lovely honest post Tom. I guess this journey we are all on will give us wobbles every now and again and that will never stop, we would be robots unless we thought a little too deeply once in a while. Hi Tom. Rosie is in good hands with you and Karen. You're doing great, so is Rosie. Don't expect too much too soon....of yourself! This all takes time, being a good husband & dad is tough and it gets tougher when we expect too much of ourselves. Well done for being honest, it's important to recognise & acknowledge the things we struggle with, but don't stay in that place. The future really is Rosie!!! Ah Tom, that really touched my heart, I know the feeling that you describe when it all seems out of control and especially the shouting and clingyness. Rosie was wonderful at the wedding and she looks delightful at the table in the video! I am certain our little ones will outgrow these things, they just take longer at it than our other children. I appreciate you putting into words the difficult feelings we can experience on this special journey. 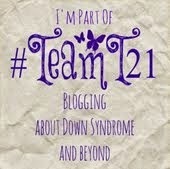 I often had melt down when our boys were younger and neither had DS. Wow, your honesty is amazing. 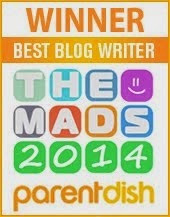 From a subjective view, the title is spot on, because of the family that Rosie has. Hi Tom, just found your blog about 2 years too late! Im the Dad of the best kid in the world who happens to have DS. For me, its been a massive struggle to come to terms with it all and to be honest like many blokes (as ive since read) it sent me barmy. Ive read alot of your blog now and its made me realise that my fears, especially about the future, are common and that im not in fact Satan for having these thoughts. Your honest approach is great and i dont mind admitting that when you talked about breaking down at work it nearly set me off(sorry again Alpha males) as exactly the same as happened to me. Anyway mate not really sure what i want to say apart from thanks for summing up so well what so many of us think and feel. Rosie seems like a great kid and is lucky so have such a great family around her. I hope that i can do the same for my daughter as she truly deserves it.